In northern climates, successful cold weather concreting expands contractor opportunities while meeting demanding construction schedules. Waiting for Mother Nature to fully cooperate often leads to costly delays that owners, investors and developers simply cannot afford. However, proper planning is essential for successful cold weather concreting. Clearly, concrete properly placed in adverse weather benefits all stakeholders. The American Concrete Institute (ACI) requires cold-weather concreting per ACI 306 when "for more than three successive days the average daily air temperature drops below 40 degrees Fahrenheit and stays below 50 degrees Fahrenheit for more than one-half of any 24 hour period." More specific information is in a table entitled "Recommended Concrete Temperatures." In general, successful concreting in cold weather relies on adherence to the "4 Ps." That is, concrete must be properly proportioned, produced, placed and protected to counter the adverse impact of low temperatures. Allowances must be made for the fact that set times increase significantly in colder weather. For example, set times at 30 degrees F can be twice as long as those at 50 degrees F. The fact that concrete hydration is an exothermic (heat-producing) reaction helps offset the impact of low air temperatures, but only to a degree. When ice crystals form in freshly placed concrete, hydration stops and strength is seriously impacted. For example, concrete that freezes during the first 24 hours may lose as much as half of its 28-day strength. In any event, freezing must not occur until the concrete reaches a strength of 500 psi. Once it reaches the 500 psi threshold, it can endure one freezing cycle. Cold weather concreting best practices are more than recommendations. ACI 306R-16 and ACI code specs are part of Pennsylvania's building code. Here are some important tips for code-compliant pours that result in strong, long-lasting concrete. Producers may heat water to 140 degrees or more (but not above 180 degrees) to offset the effects of cold weather. Heating aggregates is an option when there are extremely cold temperatures at the construction site. Strong consideration should be given to heating formwork when ambient temperatures are less than 10 degrees F.
When the initial temperature of the concrete is sufficient and moisture levels are appropriate, it is possible to achieve normal set times and required strength gain, even in cold weather. In addition to heating materials, producers can include accelerants that address the reality of quicker set times in cold weather. The use of accelerating admixtures is intended to complement, not replace, proper protection of concrete in cold weather. Accelerating admixtures do not prevent concrete from freezing and their use does not preclude the proper requirements appropriate for curing and protection from freezing. Examples include calcium chloride, sodium nitrite and calcium nitrite. However, calcium chloride should not be used in reinforced concrete. The temperature of the subgrade must be taken into consideration. Do not place concrete on frozen subgrades. Research supports the contention that concrete is vulnerable to freeze-thaw cycles until its compressive strength reaches 4000 psi. After a pour, contractors should use heating units, insulating blankets and enclosures to provide important cold weather protection per ACI 306R. Also, direct attention to test cylinders. To ensure curing at 60-80 degrees F for 24-48 hours, they should be placed in a heated curing box. Place a minimum-maximum thermometer in the box to generate a proper record of temperatures. The length of the protection period must be extended as much as 50 to 100 percent. For example, according to the American Concrete Institute, if exposed, no-load, normal-set concrete usually requires a two-day protection period, this requirement expands to three days in cold weather. Consult NRMCA CIP 27 "Cold Weather Concreting" for additional guidance. What Happens If You Don't Follow Best Practices? The penalty for not adhering to cold weather concreting best practices is two-fold - Loss of strength and surface degradation. Economic considerations and tight construction schedules are important, but not at the expense of long-term concrete durability. A failure to follow best practices hurts the customer and damages long-term reputations. Since freezing of freshly placed concrete can seriously reduce its strength, proactive efforts are essential. When ice crystals form in freezing temperatures, problems often appear when spring arrives. Flaking, scaling, pockmarks and other surface blemishes are all possibilities. A combination of improper cold weather concreting and the indiscriminate use of de-icers is particularly troublesome. Freshly placed concrete and deicers are simply not compatible. Snowplowing contractors responsible for snow and ice removal often use a variety of deicers, including sodium chloride, calcium chloride, potassium chloride, magnesium chloride, calcium magnesium acetate, nitrogen salts, ammonium sulfate and urea. Although sodium chloride and calcium chloride are acceptable for use on high-quality, dense concrete, all the rest can present problems. In particular, ammonium nitrate and ammonium sulfate are incompatible with concrete surfaces. Use of an appropriate sealer counters the development of surface imperfections to a degree. Silane or siloxane-based penetrating concrete sealers typically offer the best resistance to the adverse effects of deicers. Water-repellent sealers also provide added protection. 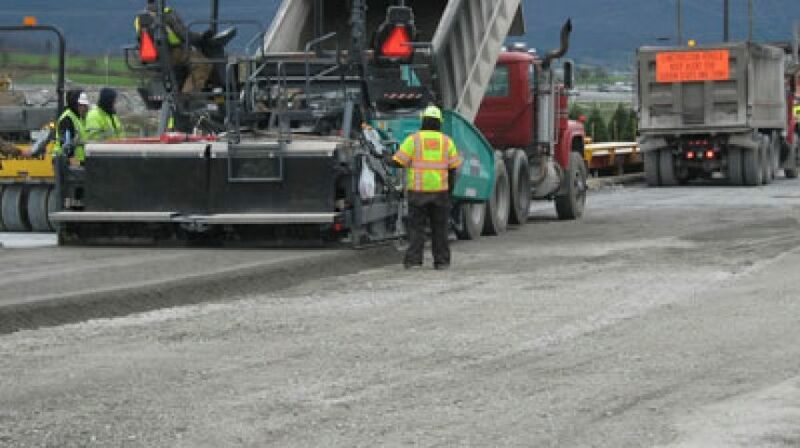 The Pennsylvania Aggregates and Concrete Association promotes concrete placement best practices that benefit everyone, including producers, contractors and customers. Please contact us at your convenience if you need further assistance.